For comedienne Kathy Griffin, mocking your country’s leader is just another joke at someone else’s expense. 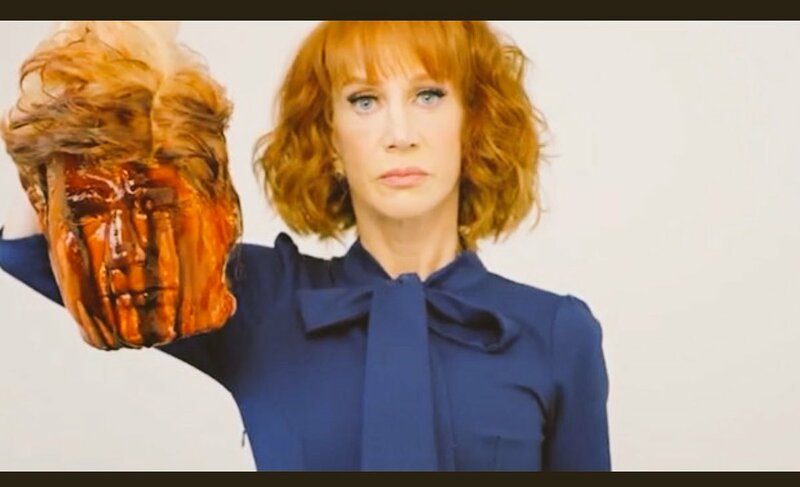 There was a mass outrage after she took her mockery to a disgraceful level, after a video of her holding what appeared to be the decapitated head of US President Donald Trump. At the time, because her career was in serious jeopardy and also because her colleagues, including Anderson Cooper, were distancing themselves from her, she made a public apology, complete with crocodile tears. Defending herself against the outrage for her tasteless joke against the President, she told the host, “No, you’re full of crap. Stop this. You know this. Stop acting like my little picture is more important than talking about the actual atrocities that the President of the United States is committing.” We don’t know what “atrocities” she is talking about. Though Trump behaves like an overgrown kid in the White House, he hasn’t really put anyone’s life at risk or killed anybody. There hasn’t been any response from the White House or any of her friends and colleagues in the industry. It looks like Kathy Griffin is seriously on her own with this one.